Infinite Art Tournament: The Infinite Art Tournament, Round 1: Delacroix v. Delaunay! 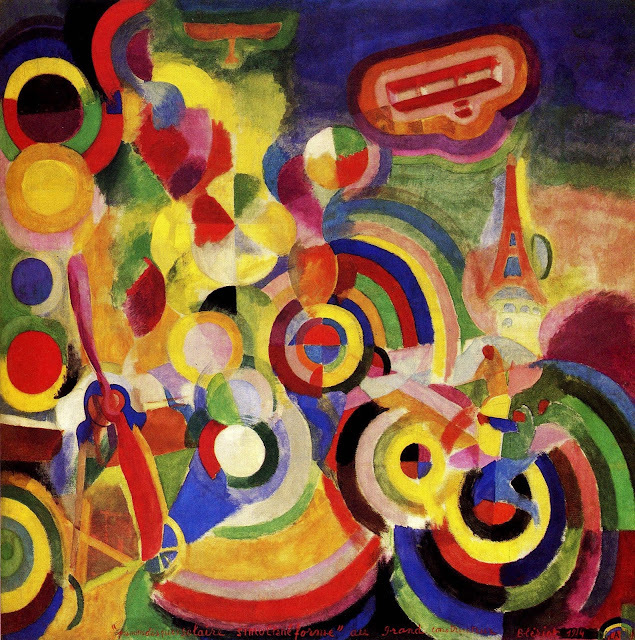 The Infinite Art Tournament, Round 1: Delacroix v. Delaunay! Delaunay! I prefer his choice of subjects and his enjoyable colors. 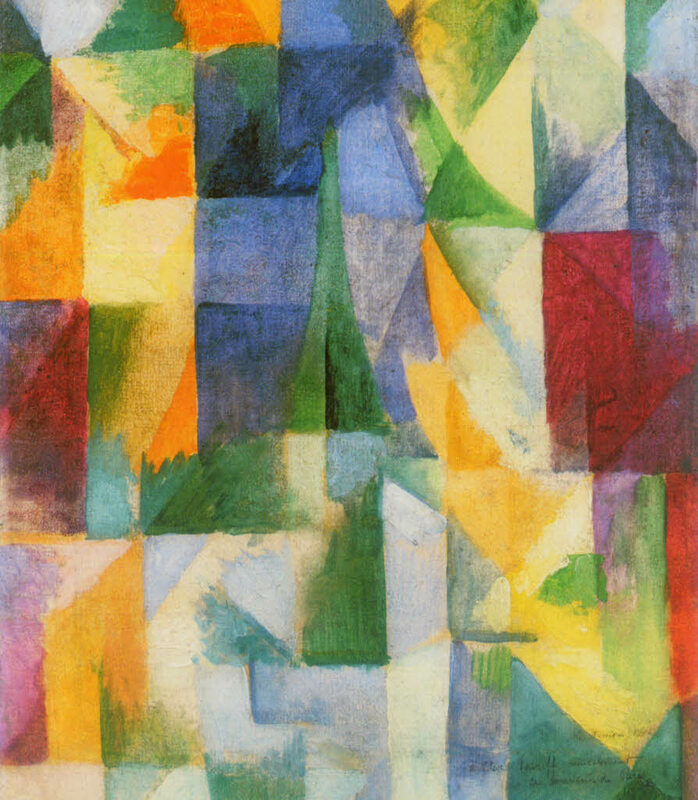 I really like Delaunay's color, forms, and mood, and the first Delacroix does nothing for me whatsoever. But, I'm always deeply struck and moved by the second one, and deeply struck and moved wins my first-round vote for Eugene. I wish it was Sonia Delaunay rather than Robert since i love her textile designs, but I guess it's okay to keep it in the family. 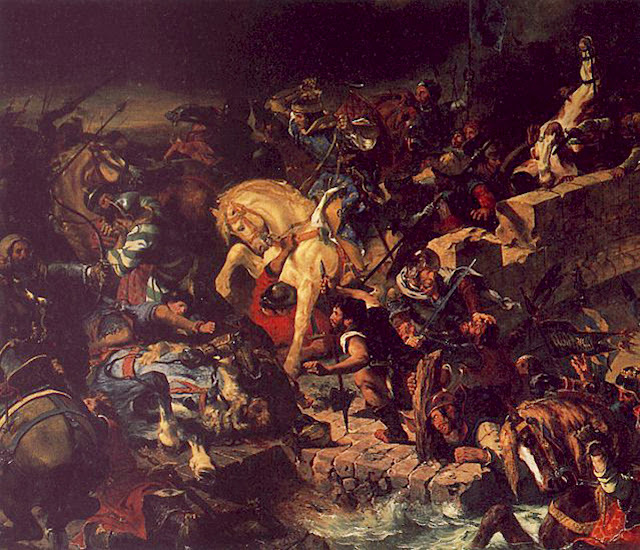 Well I like Delaunay, but not quite enough to oust Delacroix. The first one here doesn't do much for me. Seems he did a bunch of chaotic battle type scenes like that—many of which are better than this one. "Liberty Leading the People" certainly stands out among them. And that second one is even more moving when you discover its title is "Orphan Girl at the Cemetery". Difficult, because of Delacroix' second entry, but I'm going with Delaunay. 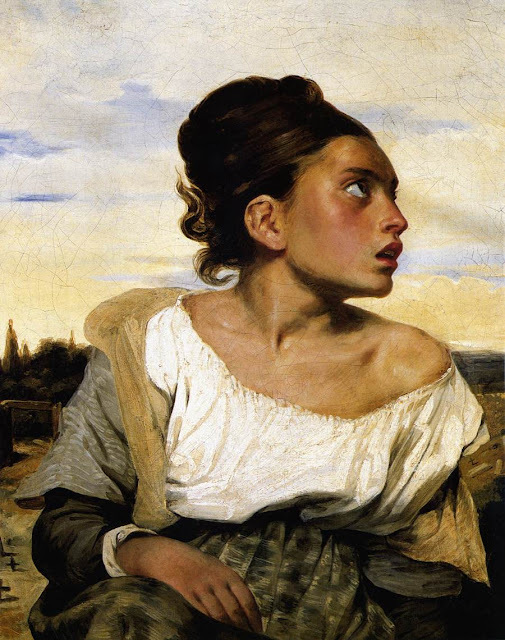 As seems to be the trend, I like the second Delacroix! I'll vote for him. a vote-by-email for Mr. Delauney. pfly: You know, I was wondering when I cast my vote if part of the power that "Orphan Girl at the Ceremony" has on me is that I know that it is a depiction of an orphan girl, at the ceremony. I think I'll vote for the Orphan Girl, as well. I'm going to turn callously from the orphan girl, and vote for the pretty pretty colors. I'm finding that neither quite do it for me, but both almost do. But I do like that Orphan Girl. (I reserve the right to change my mind at last second). I'm not particularly fond of the Orphan Girl at this moment, but I guess she's better than biplanes over the Eiffel Tower? If Candida had felt warmer towards biplanes over the Eiffel Tower, we would have had a tie... but since she preferred the Orphan Girl, we've got a 7-5 margin for Delacroix, who has the dubious privilege of taking on Degas in Round 2.